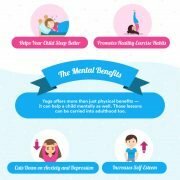 Hello, I just came across this wonderful article about getting kids in to yoga. Links between emotional trauma or feeling emotionally unbalanced could be the reason why no matter how hard you try those hips just won’t get loose. http://www.blissbyrobin.com/wp-content/uploads/2016/12/DSC02532.jpg 2592 3872 Robin Davis http://www.blissbyrobin.com/wp-content/uploads/2016/10/weblogo.jpg Robin Davis2016-12-10 19:46:342017-08-20 14:33:15Stiff Hips? 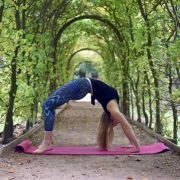 Huge Thank you to GloucestershireLive who have created this gorgeous article about my journey and yoga classes starting soon. People often ask me about why I started yoga and I think it’s because we find it surprising how one small practice can make such a huge impact to people’s lives. I really love this article by the Guardian sharing others personal insights into how yoga helped turn their lives around. If Yoga can change my life and theirs then why couldn’t it change yours? Yoga in the NHS! 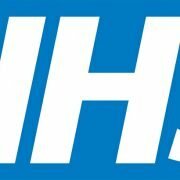 … I really hope this happens, I think Yoga would be a wonderful solution to preventing illness and stress among the Nurses and Doctors and curing illness with patients. Give it a read and let me know what you think. http://www.blissbyrobin.com/wp-content/uploads/2016/10/nhs-news-post.jpg 410 1024 Robin Davis http://www.blissbyrobin.com/wp-content/uploads/2016/10/weblogo.jpg Robin Davis2016-10-03 14:59:332016-10-06 14:06:08Yoga in the NHS! This is SUPER EXCITING stuff! With some of the latest scientific studies this video is an easy and fascinating watch. If this isn’t enough reasons to get you on the mat, I don’t know what is! Chemistry Teacher Anjna Pindoria shares her experience of teaching yoga in an all boys school school to her lower sixth students, It was really interesting to read her insights and I really enjoyed reading what the boys had to say about yoga helping reduce stress. The article also includes a couple of helpful tips on how to sleep better and how to use yoga to prepare for exams. Brilliant.